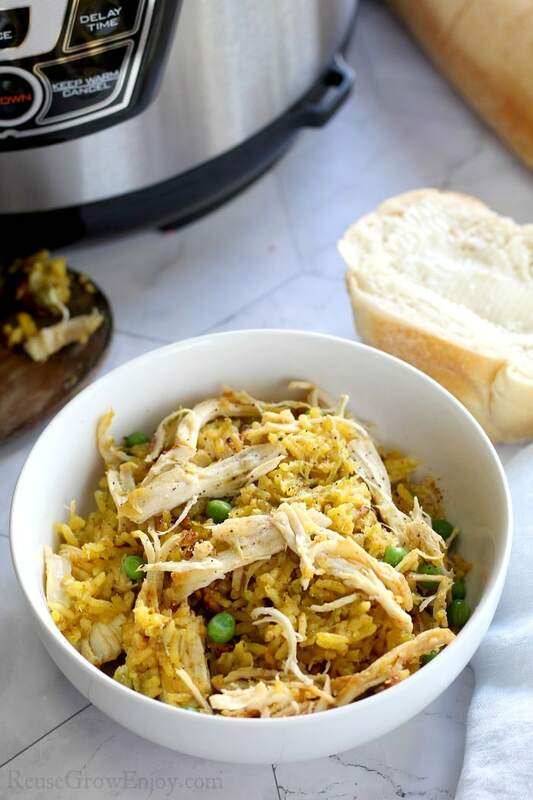 This Pressure Cooker Chicken and Yellow Rice Recipe will have you digging into your favorite comfort food in about 30 minutes! 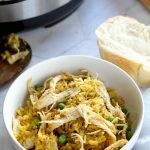 I love comfort food and one of my favorites is classic Chicken and Yellow Rice. Even better when I can make it all in one pot to reduce dishes, mess, and time. After a couple of tries, I found a way to do it in my pressure cooker/Instant Pot that comes out perfectly cooked, moist, and delicious! This recipe should work well no matter what electric pressure cooker you have. So if you have the Instant Pot, Power Pressure Cooker Xl, Crock Pot or another brand, you can still make this recipe. Don’t have a pressure cooker yet and wondering which one you should buy? I have bought a few different ones and I have to say, hands down Instant Pot is the best I have tried. The others do work and will get you by until you have a larger budget. But if you are looking for one to last then go with the Instant Pot. The recipe only takes 25 minutes to cook. But you do have the time that it takes for the pressure cooker/Instant Pot to build pressure. You also have to allow for it to natural release of the pressure to that also takes a few minutes extra. 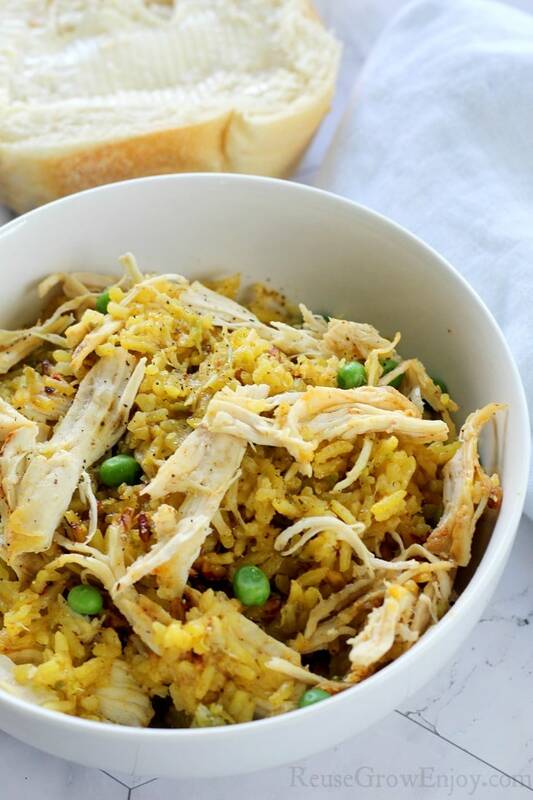 This chicken and yellow rice recipe is made using boneless skinless chicken breasts. However, if you are someone that likes dark meat, you could use boneless skinless chicken thighs in place of the breasts. 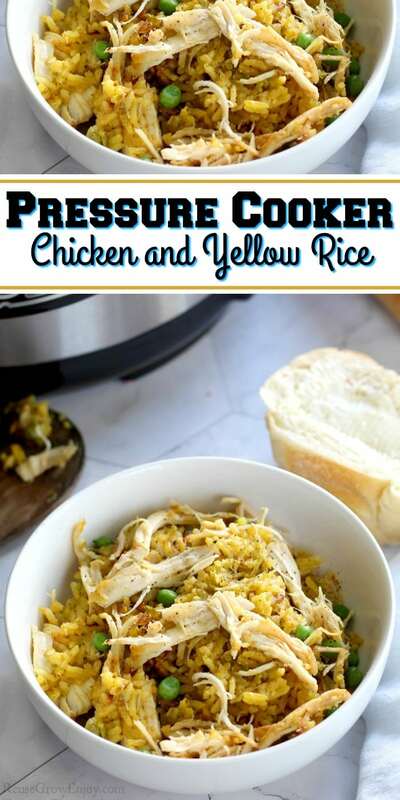 Looking for more pressure cooker recipes to try? Here are some of my favorites! Dice onions and add to pressure cooker with olive oil, press saute/ brown depending on your model and cook until they are soft and golden brown. Remove excess fat from your chicken if needed. 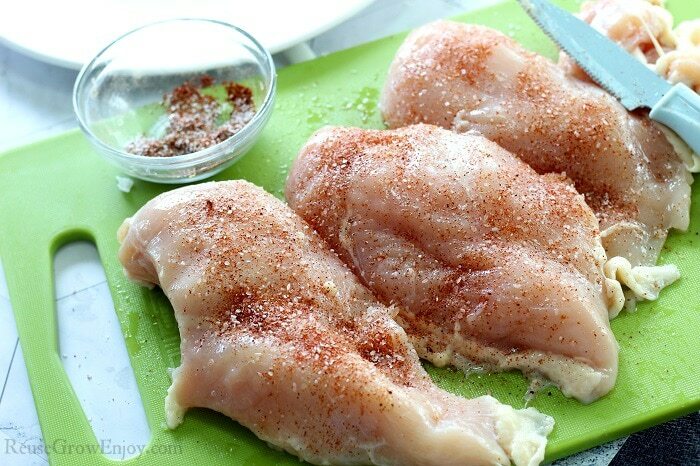 Mix seasonings together well and then sprinkle them all over the chicken breasts on both sides. 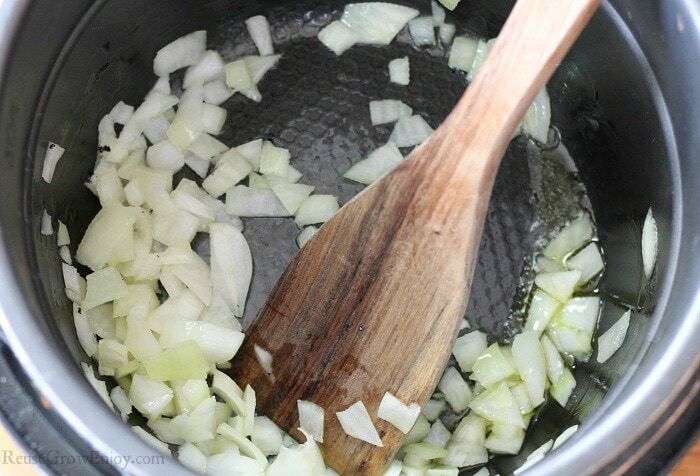 Add the yellow rice, peas, and broth to the pot with the onions and give it a good stir to mix everything up well. 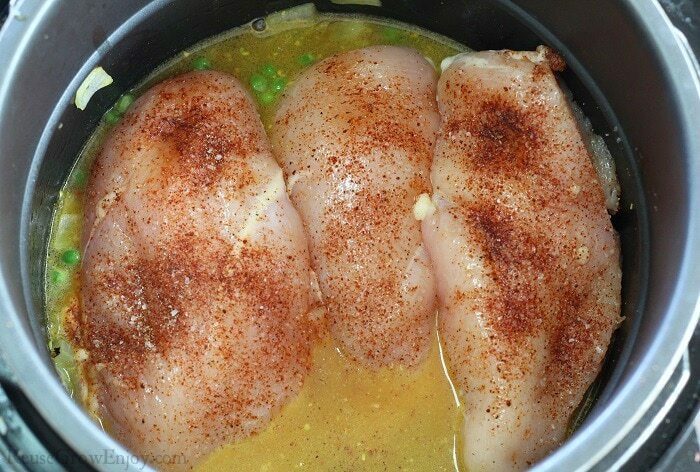 Lay seasoned chicken breasts on top of rice mixture. Close the lid, be sure that the pressure valve is not open and set for 25 minutes on high pressure. Release steam via natural release. Open the lid carefully away from you and use two forks to shred the chicken, give the entire pot a stir.